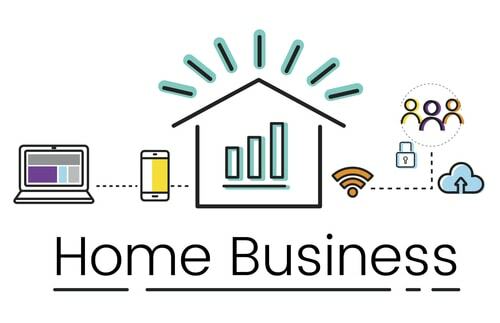 Today, many entrepreneurs are opting to operate from the comfort of their own home with an online business. Brick and mortar stores have been the traditional venue for conducting business, but the rising costs of rent and utilities in urban areas has many perspective business owners realizing that the expense is too much compared to running their operation online. While an at-home business can be more convenient and cheaper to operate, it is not without its challenges. Here are a few common obstacles that many first-time business owners encounter when making the move to e-commerce. It is very easy to get distracted when you work in the same place you live. Think about it - your home is where you eat, sleep, and spend your downtime. Your residence is usually not a place to conduct business, so all the activity that usually happens in your home on a daily basis will still be going on around you while you are trying to work. It is essential to not let your surroundings distract you from your everyday work schedule. Focusing on work may be difficult at home, but it is a necessity for your at-home business to succeed. Forget the outside world. No running errands, doing wash, making calls (other than work related) or surfing the web. It’s business as usual, and you have to exercise the self-disciple to create a routine and “new normal” for accomplishing your essential duties from home. While you cannot afford to let your work performance suffer, if you have employees who are also working remotely, it is critical to closely monitor their performance and work output. Regularly check in with your staff through webcam, virtual meetings, or other online networking platforms. It is important to feel connected when working online, because without the camaraderie of co-workers in a traditional business setting, it is quite easy for employees to feel disconnected and isolated. And that equates to poor performance, reduced productivity and a diminished return on your investment in your workers. Creating a designated workspace will not only help you to focus, but it will also allow you to have easy access to all the items you need to be your most productive. Without having a phone, printer, filing cabinet, and whatever else you need in proximity, a large part of your day could be spent searching for the things you need to accomplish the task at hand. Choose a quiet and convenient area in your home to promote good work performance. Setting up a schedule you can stick to is an important part of your at-home success. You are running a business, and should dedicate certain hours of the day exclusively to work and nothing else. Without having structure of a designated time you allocate to running your business, you will find that your days and nights are more chaotic, with the lines between home-life and the workday becoming blurred. Although it may be tempting to stay in your pajamas while you work, it is a bad habit to fall into. Part of maintaining a positive outlook and keeping your competitive edge is putting your best self forward, and that again means maintaining a routine. While you may not need business wear for your home office, always start your day with your normal grooming and exercise regimens. You’ll feel better, look better and perform better. Treat your supply closet like any other office closet. Stay on top of inventory to ensure that you have all the supplies and equipment you need to get the job done. 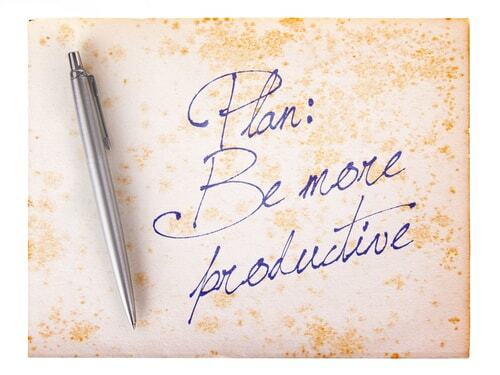 A paperclip may not make or break your business, but being on top of every detail will help you to be more productive. After all, it is your business, and you don’t take pride in what you do, then no one else will. If you are finding it hard to get your business off the ground or out of debt, business funding may be the lending hand you need to get past any obstacles.